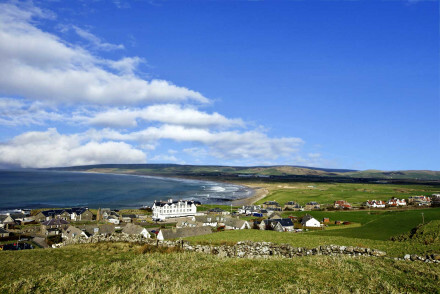 Beautiful 4-star hotel and golf course in Argyll, offering rooms decorated with classic Scottish elegance and boasting outstanding views over the Atlantic sea to Islay and Jura. There's a restaurant, traditional pub & a spa. Whiskey tastings & country sports can be arranged. Active Holiday - The region is hugely popular for country sports, like hunting, shooting and fishing. Fishing - Fishing is a popular pastime in the village.